Breast Cancer Care is delighted to be the charity partner for the Manchester Beer and Cider Festival for the second year running. Breast Cancer Care is the only specialist UK wide charity providing support for women, men, family and friends affected by breast cancer. We’ve been caring for them, supporting them, and campaigning on their behalf since 1973. Today, we continue to offer a unique range of support including reliable information, one-to-one support over the phone and online from nurses and people who’ve been there. We also offer local group support within the Greater Manchester area, running support services in five Greater Manchester boroughs; Stockport, Tameside, Salford, Bolton and Wythenshawe. From the moment someone notices something isn’t right, through to their treatment and beyond, we’re there to help people affected by breast cancer feel more in control. Breast cancer changes everything. Breast Cancer Care understands the emotions, challenges and decisions people face every day. They know that everyone’s experience is different. That’s why they are there to offer support and information and campaign for better care. Every year, 60,000 people in the UK are told they have breast cancer, and every year more than 11,500 women die from it. It’s the most common cancer affecting women in the UK today, with 1 in 8 receiving a breast cancer diagnosis in a lifetime and one person newly diagnosed every ten minutes. It’s vital that Breast Cancer Care’s services remain free; they’re a lifeline for the growing number of women coping with one of the most difficult challenges they will ever face. 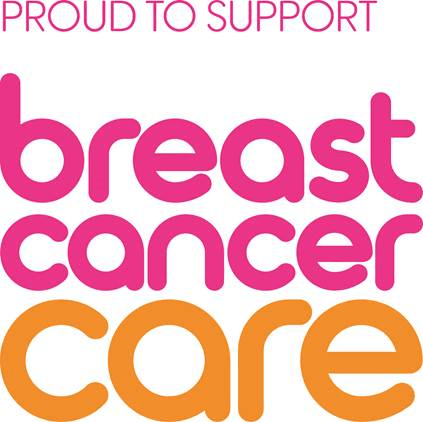 We would like to thank you in advance for supporting Breast Cancer Care at the Manchester Beer and Cider Festival and please come and visit our charity stand located within the festival hall. Breast Cancer Care will be running a raffle, quiz and other games from the stand, as well as collecting festival glasses as a donation to the charity. We have a number of volunteers within the festival hall selling programmes and also a team of bucket collectors, so please donate generously. If you have any questions about breast cancer or Breast Cancer Care please do visit our stand to speak to a member of staff or alternatively call our free helpline on 0808 800 6000. If you would like to fundraise or volunteer for Breast Cancer Care please call 0114 263 6482 or email Heather at heather.murphy@breastcancercare.org.uk . Finally, we would like to thank the festival organisers for giving Breast Cancer Care the opportunity to be present at Manchester Beer and Cider Festival and we hope you all have a brilliant time and enjoy the event!